This pre-loaded rod & reel package combines the fast action of the Big Sky fly rod with the stopping power of the Precision XC reel. 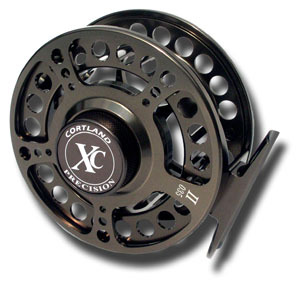 The reel comes preloaded with Cortland backing and fly line. Modern, fast action 4 piece rod that can deliver the goods with power and finesse. Designed to meet specific angling challenges and with tuned action these may be the best casting, best fishing rods Cortland has ever offered. Equipped with the highest quality hardware, a hand shaped specie cork grip, and packaged in an integrated rod/reel carrier to protect it during your travels. Think of the 10 wt as the heavy cruiser of fly rods. Set up as the ultimate outfit for fighting big Salmon on the Salmon River in New York, it is equally at home hunting Pike, Musky, Stripers, small to medium tarpon, or any other fish that will grab a big fly and not want to give it back. Many tarpon guides now recommend the 10 wt as the best all round fly rod for it’s combination of easy casting and fish fighting abilities. 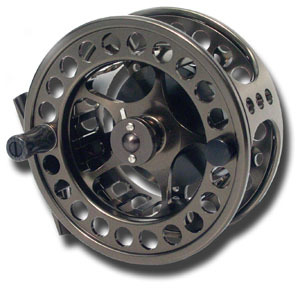 The Big Sky 910-4 is a truly powerful 10wt that the average caster can load and handle with ease. It can match distance with any rod out there, yet still fish in close for full range versatility. These handsome limited edition reels are sure to be a prize possession. Precision XC reels are machined to the highest standards utilizing a completely sealed graphite/belliryum disc drag system that works flawlessly. Precision XC reels are anodized in a dark architectural bronze that compliments the color of the Big Sky Rod.